We are huge fans of asparagus in this house. I know I am lucky that I can get my kids to eat it without complaining. We love it. I like to buy it fresh from Trader Joe’s or frozen from Schwan’s. Both ways it is super tasty. Another thing I love about it, is that it cooks really quickly and with little effort and it fits into my easy recipes criteria. 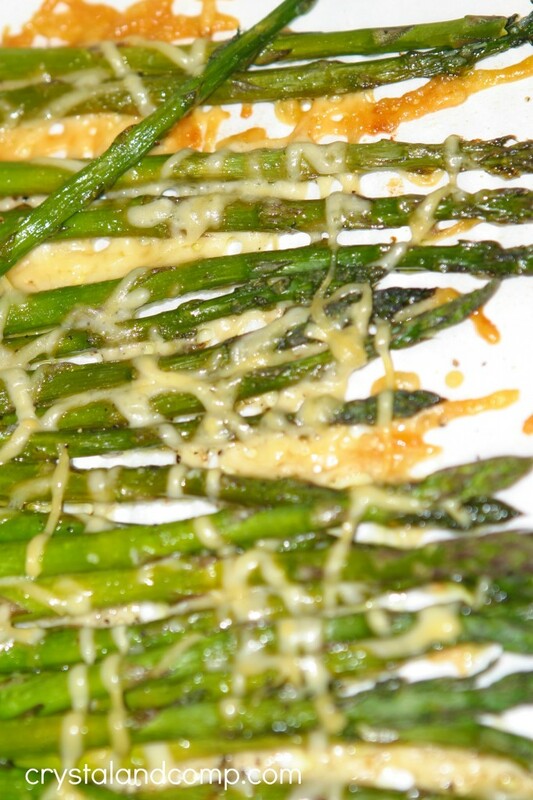 Here is how I quickly make Baked Parmesan Asparagus on a busy weeknight. On a baking sheet lined with parchment paper, evenly lay out the the asparagus (keeping it frozen is just fine). 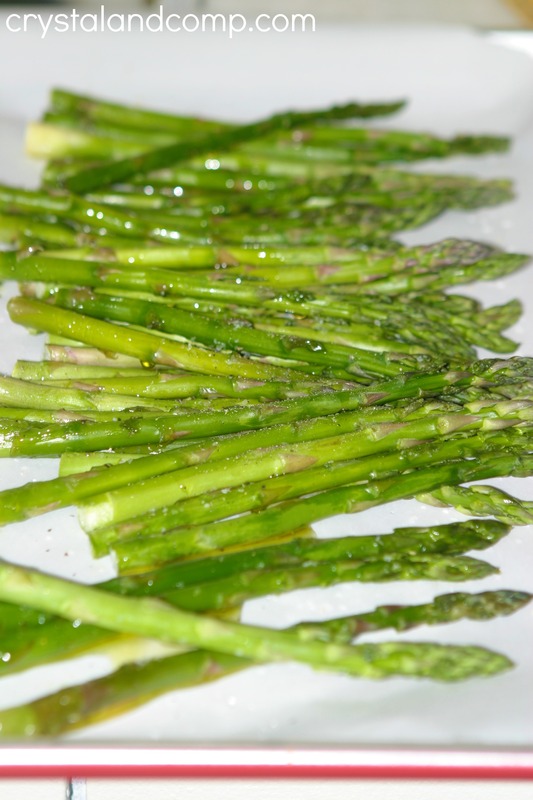 Drizzle the olive oil over the asparagus evenly. Sprinkle it with the salt and pepper. Sprinkle the parmesan cheese evenly over the asparagus. 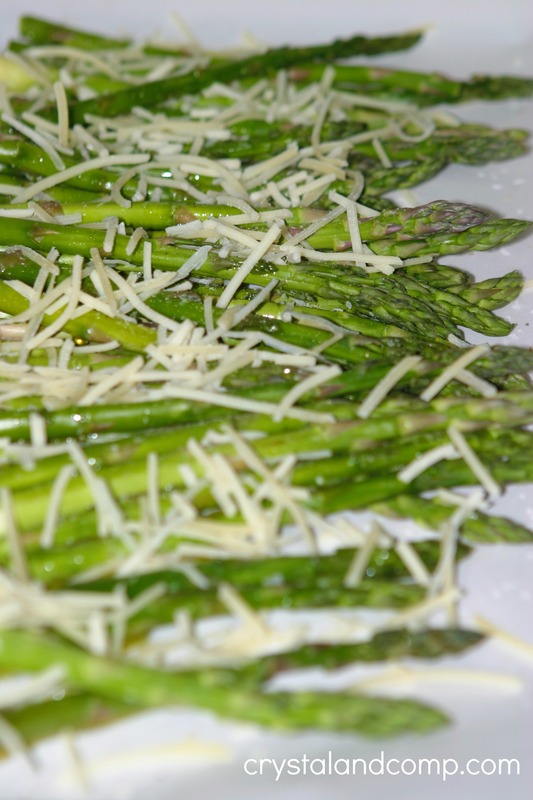 Pop it in an oven at 350 degrees for 15-20 minutes or until the cheese is golden and the asparagus is heated thoroughly. See those crispy cheese pieces? Those are my favorite! I served our Baked Parmesan Asparagus this particular night as a side with our Crockpot Many Clove Garlic Chicken and Kale served over rice. what a delicious and easy recipe. Thanks for sharing. 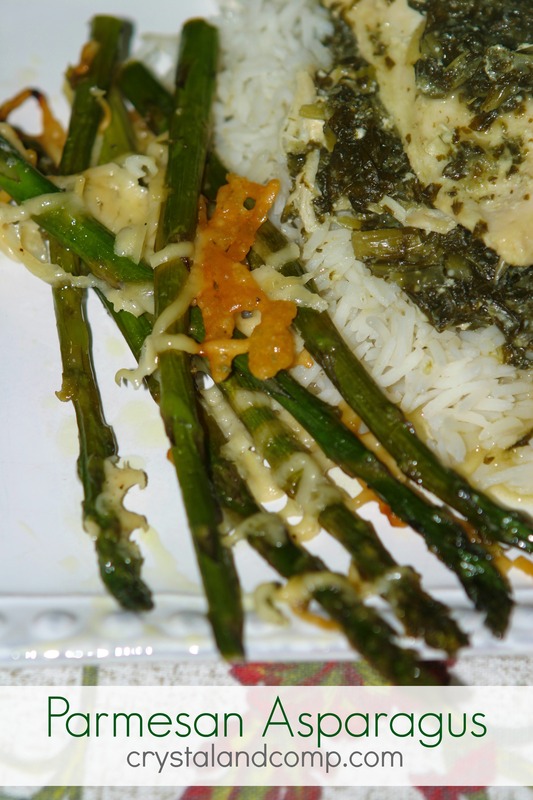 What a great addition to Asparagus, I will be trying this it looks awesome! Thanks so much for sharing with Full Plate Thursday and wishing you abundant blessings in 2014!